Today we were really excited to see that our regular mother duck has returned and she has not let us down. 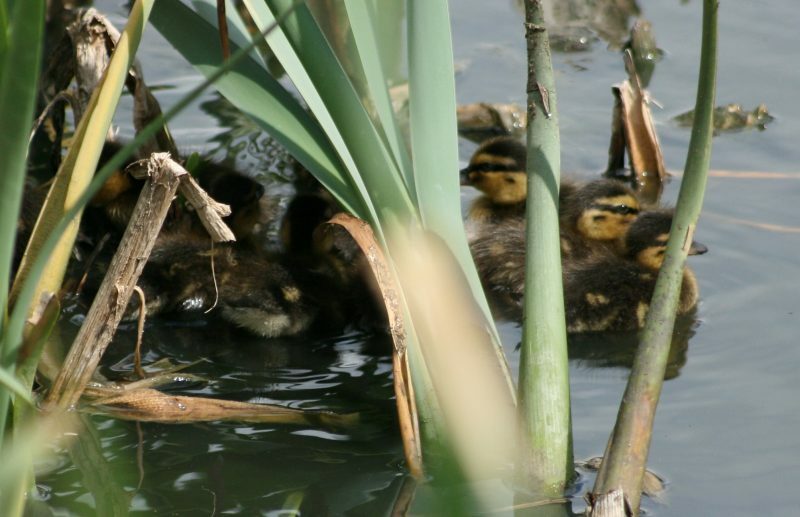 Here she is in the Garden of Remembrance at Cambridge Pet Crematorium with this year’s brood of ducklings and not an ugly one in sight. It was quite hard to capture a good shot, as you can see in the first picture they blend into their surroundings extremely well. We were lucky a bit later as they decided to go for a tour of the pond here at the pet crematorium. 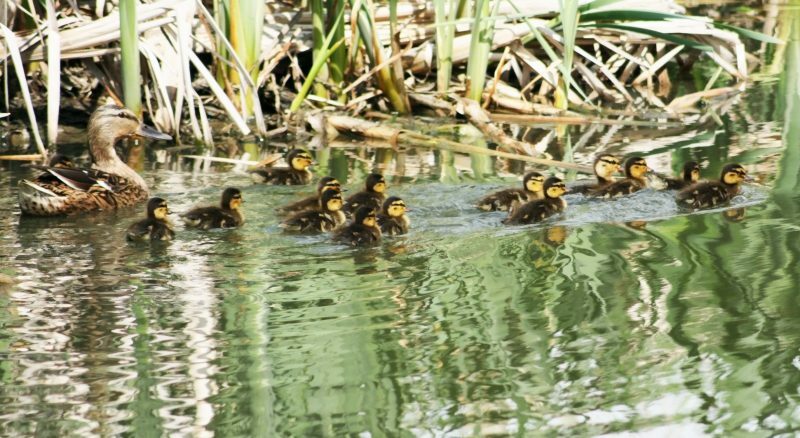 It looks as if there are 13 ducklings; we hope that this isn’t an unlucky number and that all make it to adulthood. We will keep an eye on them and update you with their progress. The pond, which she uses, is a great centre piece to our well established gardens in Cambridge which proves popular with wildlife and customers alike. The Gardens of Remembrance provide a tranquil space for our bereaved owners to visit when their pet is cremated. Many choose to return to reminisce about pets they have shared their life with. In our Garden of Remembrance customers often place a memorial to their pet; some choose to send flowers on a regular basis. If this is something that you are considering we have a range of memorials available in our online shop with the choice set to increase. Alternatively you can download pages for our book of remembrance free of charge; other bereaved owners read the books of remembrance which we keep in our customer suite. Hearing that other people have gone through similar emotions is a source of comfort for many. If Facebook and Twitter are your thing we also provide an online pet tribute service where you can upload a photograph of your pet and share the page across your social media platforms.